On a perfect June morning, Clarissa Dalloway - fashionable, worldly, wealthy, an accomplished hostess - sets off to buy flowers for the party she will host that evening. She is preoccupied with thoughts of the present and memories of the past, and from her interior monologue emerge the people who have touched her life. On the same day, Septimus Warren Smith, a shell-shocked survivor of the Great War, commits suicide, and casual mention of his death at the party provokes in Clarissa thoughts of her own isolation and loneliness. 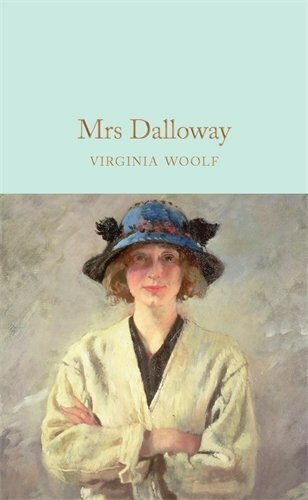 Bold and experimental, Virginia Woolf's Mrs Dalloway is a landmark in twentieth-century fiction and a book that gets better and better with every reading. This elegant Macmillan Collector's Library edition of Virginia Woolf's modernist classic features an afterword by editor and publisher Anna South. Designed to appeal to the booklover, the Macmillan Collector's Library is a series of beautiful gift editions of much loved classic titles.